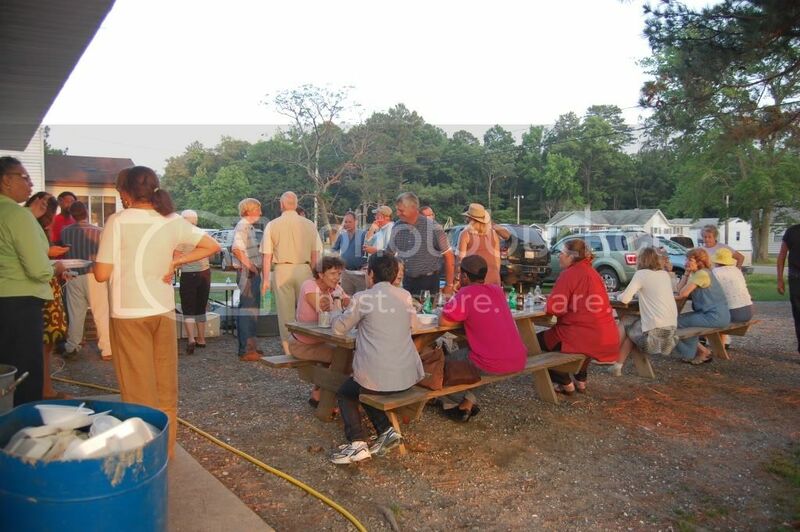 6:00:Eastern Shore of Virginia Oyster Tasting on Westerhouse Creek and dishes from the local Guatemalan community that featured squash blossom empanadas and homemade chicken tamales. Accompanied by Chatham Winery steel and oak cask chardonnays and rosé Oysters and clams provided by HM Terry Co., Walker Bros., and Shooting Point. 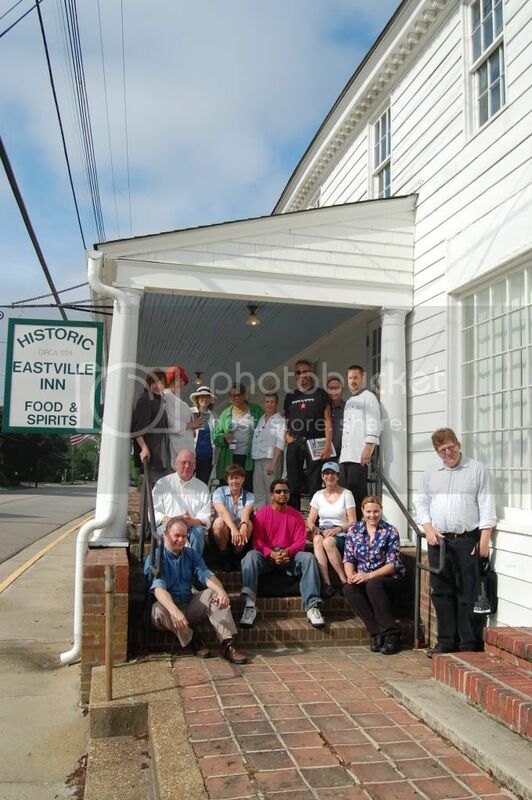 8:00: Breakfast at the Eastville Inn hosted by Charles and Shannon Thain. Pungo Creek Mills corn cakes with fried oysters and a crabcakes. 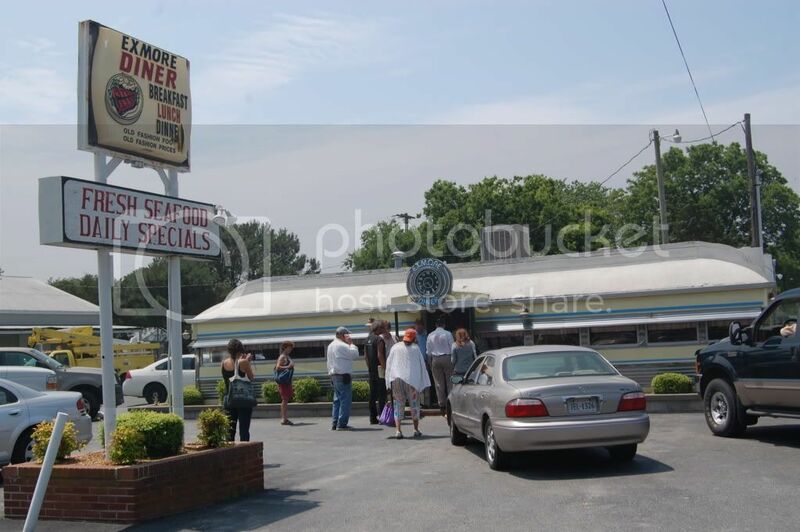 10:00: Bayford Oyster House. H. M. Arnold on softshell crabs and pound and drift net fishing. 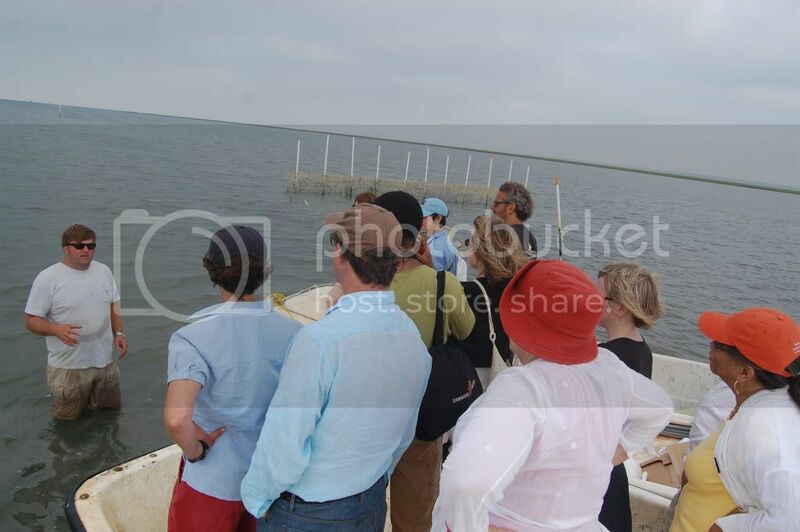 11:00:A trip to Tom Gallivan’s Shooting Point oyster ground with introduction to Nassawadox Salts oysters and oyster farming. 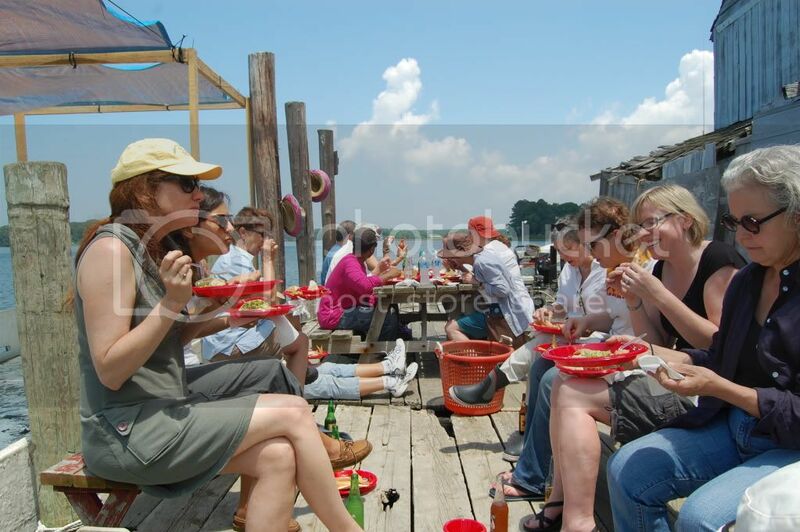 12:30: Lunch at the Bayford Oyster House by members of the local Veracruz community. Dishes included seafood “cocktail” and sweet potato empanadas. 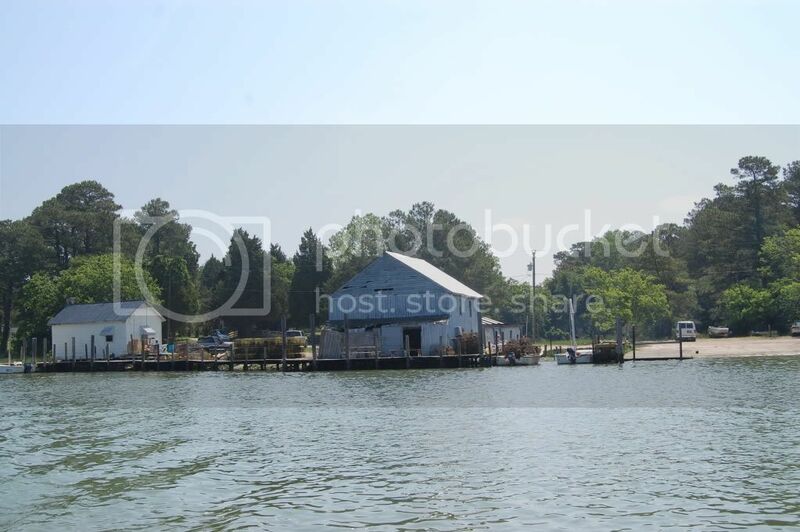 1:30: Boats from Nassawadox Creek to Church Creek to Chatham Winery. 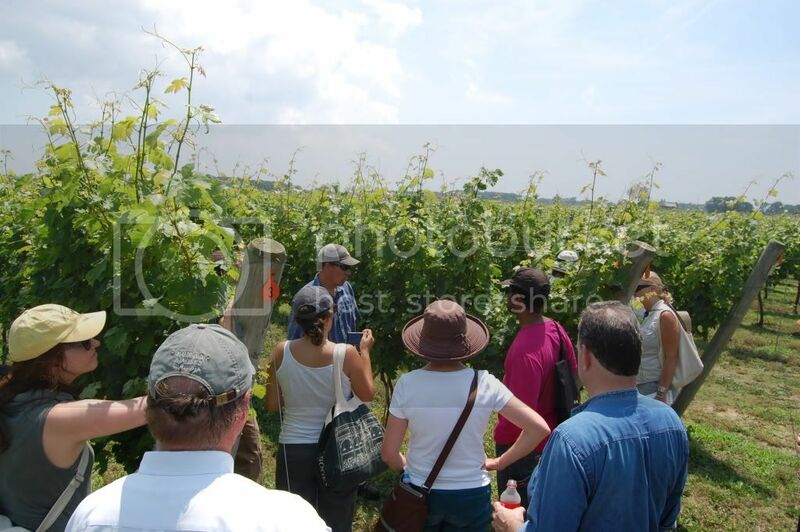 2:00-3:30: Tour of Chatham vineyards and winery by Jon and Mills Wehner. 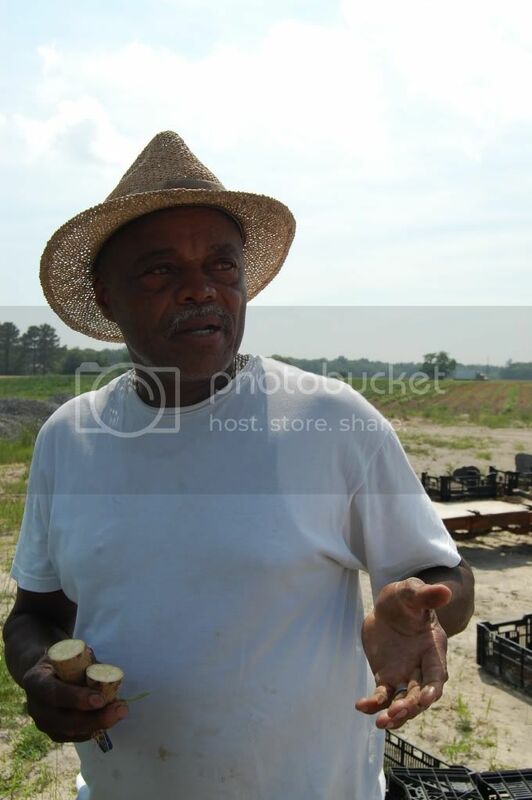 3:30: William Baines’s farm and introduction to Hayman sweet potato cultivation. 5:30: Theodore Peed’s garage kitchen. Roundtable conversation on local specialty agriculture and its challenges led by Rick and Janice Felker (Mattawoman Farms), Bill Jardine (Quail Cove), and Bill and Laurel Savage (Pungo Creek Mills). Potluck supper featuring Theodore Peed’s snapping turtle dishes (fried turtle, turtle and gravy, and barbecue turtle) and H. M. Arnold’s venison barbecue. Chatham Winery offerings included merlot, Vintner’s blend, and a late harvest dessert wine. 7:00: Trip to the clam grounds of Hog Island Bay led by Pete Terry, Tom Walker, and Tom Gallivan. An early snack (Edwards ham sweet potato biscuits and Eastern Shore Coffee Roasters coffee). 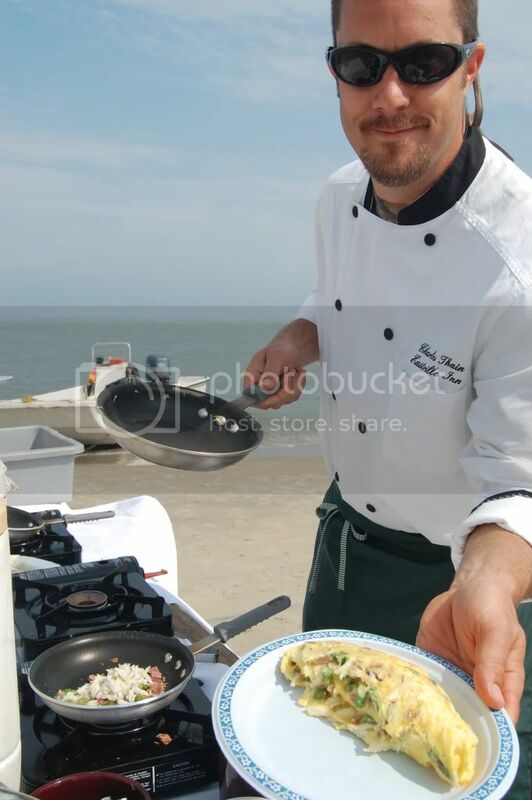 Omelet brunch on the islands provided by Charles Thain of the Eastville Inn, using Windsor House farm eggs, local crab meat, and Pickett’s Harbor Farm vegetables. 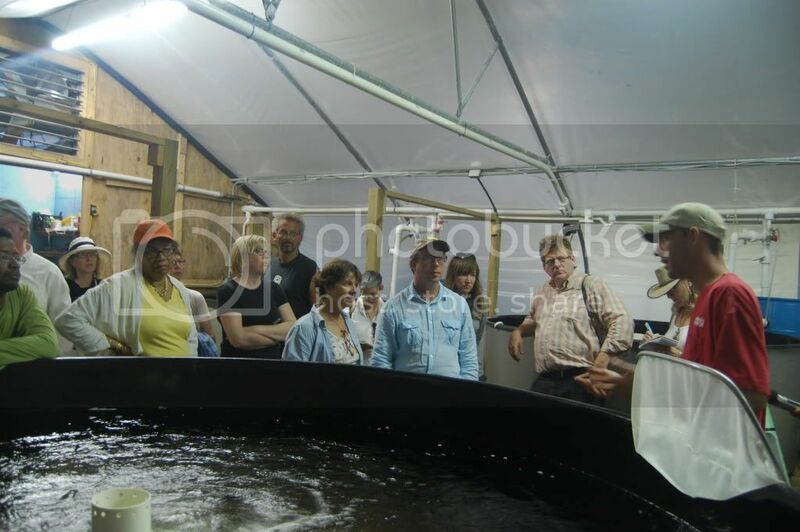 11:30: Mid-Atlantic Aquatic Technologies saltwater fish husbandry visit hosted by Chris Bentley. 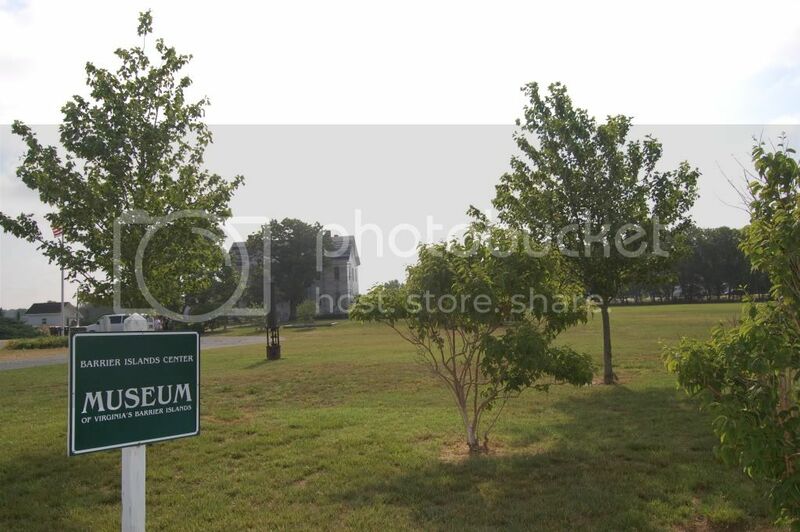 12:30 Pungo Mills visit hosted by Bill and Laurel Savage. 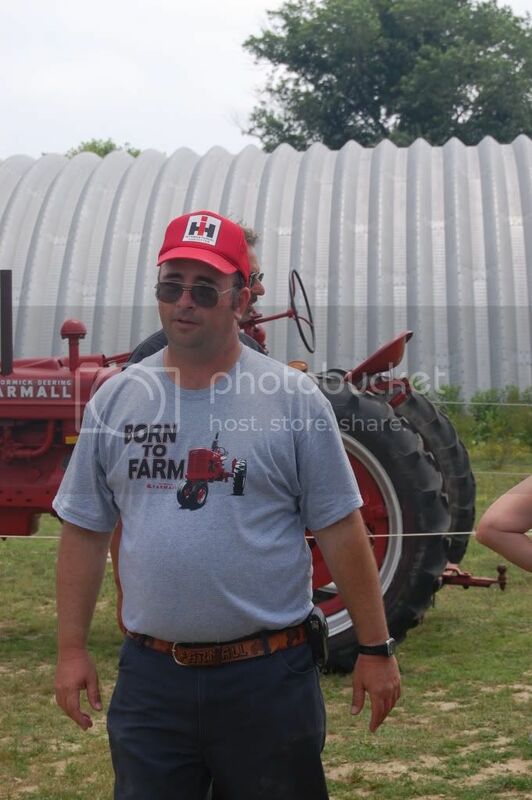 Introduction to local heirloom corn strains and the Savage’s milling operation. 2:00: Late lunch at the Exmore Diner featuring drum, drum ribs, swelling toads, greens, beans, and homemade pies. 5:30 Collaborative dinner and wine tasting at Chatham Winery. The wine tasting offered three vintages of estate grown and bottled merlot (2002, 2004, 2006) and introduced new vintages of petite verdot and cabernet franck. Cooking together using ingredients collected over the previous two days as well as other locally sourced foodstuffs including softshell crabs, MAAT flounder, clams, oysters, local produce provided by Mattawoman Farms, fig preserves, pear pickles, and more.